Peter is ranked Tier I by Chambers® and is year-in-and-year-out ranked as one of the Nation’s Best Lawyers®. Peter is one of the nation’s leading employee benefits and executive compensation lawyers. He is widely recognized by clients, opposing counsel and national law firm ranking organizations as among the best in the field. 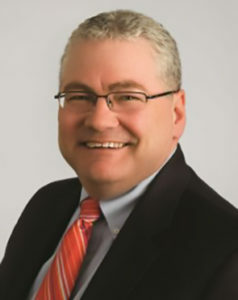 Peter’s technical knowledge is widely acknowledged as top-tier: he has over 20 years’ big firm experience and a solid national reputation as being among a short list of employee benefits attorneys who can guide his clients through complex federal and state benefits and compensation laws and tax, securities, ERISA and corporate governance issues in a sensible, efficient and understandable manner. Individual executives, management teams, boards and compensation committees across the country recommend him as a go-to lawyer who provides clear advice on all matters related to the design and implementation of employee benefits and compensation programs. Peter is a prolific author, writer and active speaker on all employee benefits matters, including the requirements of the Patient Protection and Affordable Care Act. Employers nationwide engage Peter to help them understand and meet the compliance demands of these complicated laws. Prior to practicing law, Peter had a successful career as a human resources professional. He was an Adjunct Professor of Law at Boston University College of Law, and he has taught at the University of Illinois and Bradley University. Peter served as a Peace Corps Volunteer in Ghana, West Africa. Among his many achievements: Peter obtained a major grant to construct a secondary school in a remote village in Western Ghana. Before co-founding the firm Peter was a partner at Proskauer Rose, K&L Gates and Mintz, Levin, Cohn, Ferris, Glovsky and Popeo.